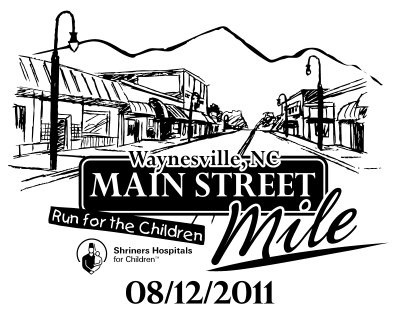 270 runners completed the Waynesville Main Street Mile. Congratulations to “Smokin’ Mark” Driscoll as the first overall and first male in 4:18 (and change). Congratulations to Sarah Beth Lee as the first female. Here are the combined overall results, courtesy of Lee Timing.